Last evening, my husband and I were lucky enough to hear a talk from Norman Ackroyd at the Pallant House Gallery, Chichester. We are both great admirers of his work, but even if we had not been, we would have marvelled at this octogenarian so full of energy and enthusiasm for the wild and wonderful places he visits each year to study and draw, using watercolour and sugar lift printing in situ. Born in Leeds in 1938, the son of a butcher, Ackroyd went to Leeds College of Art before enrolling at the London College of Art in 1961. He was elected Royal Academician in 1988 and Senior Fellow in 2000. A CBE was awarded in 2007 for Services to Engraving and printing. Rather than talk about his work or methodology, Norman took us on a guided tour of many of his favourite places, depicting them with examples of his work. 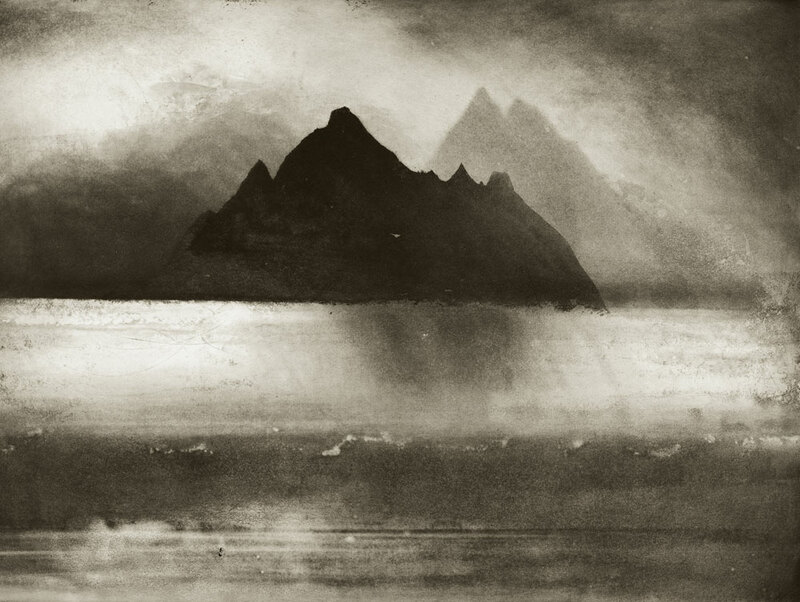 He spoke, not about his own incredible achievements – see www.normanackroyd.com – but about those others who had influenced and impressed him – the Poet Douglas Dunn and the writer F H White to name but two. He was such an engaging, intelligent and warm man – we felt we could have listened to him all evening. With tales of climbing, jumping, sailing, zooming around in helicopters, he is a superhero in so many ways! His passion for his chosen scenic places, the birds, the history of place were all very evident. You can view Norman talking about his work on You Tube by following this link.